Roof maintenance, as with any part of the building, is essential in order to comply with the waterproofing system guarantee and to ensure maximum performance and life expectancy. Access to the roof must only be allowed under supervision of the Building Manager or the person responsible for building maintenance. 2.1 All personnel given permission to access the roof must be instructed to use the dedicated access/walkways provided and be fully advised of the health and safety procedures required by the site or that of the individual roof concerned. Where roof working/access, other than light foot traffic is required, adequate protection must be provided. During routine maintenance to plant or the building fabric, the flat roofing system must be protected against damage by point loading, spillages of solvents and sharp objects such as nails, fixings, trims, glazing panels etc. 3.1 The roof must not be used as a storage area. 3.2 Any materials used by following trades must be cleared on completion. 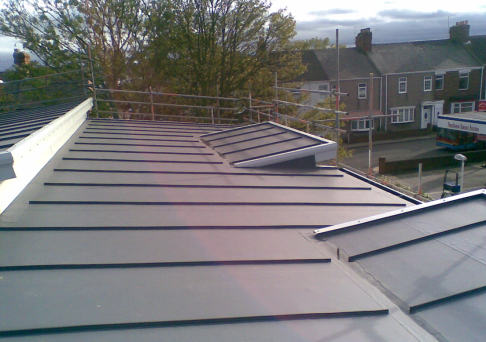 Additional units, penetration or fixings that may be required should be referred to IKO Polymeric or the original roofing contractor prior to any works being carried out. 4.1 Any approved additional waterproofing works must be carried out with the full knowledge of IKO Polymeric and by the IKO Polymeric approved contractor. The roofing should be inspected twice yearly, preferably in the spring and autumn, and/or after extremes of weather conditions. 5.1 It is important to check that roof outlets are functioning and gratings are not blocked. 5.2 Check waterproofing to roof light kerbs. 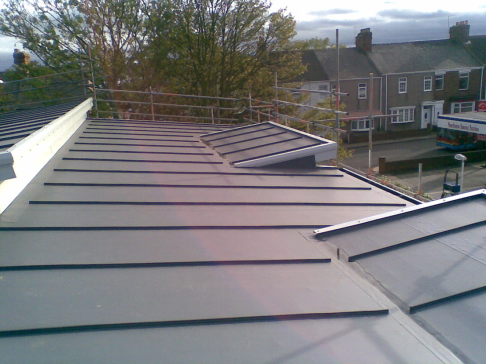 5.3 Check flashings to perimeter upstands, ensuring metal cappings are secure. 5.4 Check flashings to expansion joints and that cappings are secure. 5.5 Check upstand flashings to support legs. 5.6 Check walkways and around access points to ensure damage/displacement has not occurred to walkway or concrete paviours. 5.7 Any algal growth or silt build up should be cleaned off using a soft bristle broom and clean water. 5.8 Check condition of any flexible sealants in use that they still provide a weatherproof finish; arrange to replace any that are not. 5.9 Check condition and functionality of any restraining bands and sealant, replace if showing signs of advanced aging or failure. Generally clean water and a soft broom should be used. A mild household detergent can be added to the water. The area should be hosed with clean water on completion. Please contact the local authority for approval for the use of any detergents that may wash into the drainage system. In the event of accidental damage occurring to the membrane, the installing contractor and/or IKO Polymeric should be notified immediately in order that a practical solution to the problem can be agreed and any remedial actions taken. Failure to make contact with IKO Polymeric could invalidate any guarantees.